2018 has witnessed another huge investment in new equipment throughout the group. 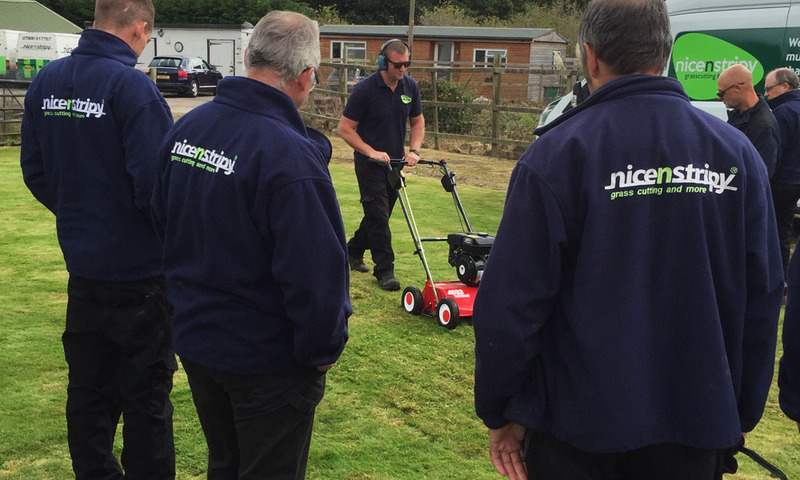 Each year nicenstripy invest around £20,000 in new equipment to ensure we use the most reliable professional machinery on the market and has done so for the last 10 -12 years. This year, however, the investment has dramatically increased to over £30,000 so far! Paul Allen, Finance Director said, with the increase in customers year on year the Group have had to increase our spend on equipment to ensure all our customers are looked after correctly. We use the best equipment on the market, following very careful analysis and field trials, but the best does not come cheaply! Training costs has also increased in 2018 as we ensure all managers and staff are trained and qualified to a much higher level than any of our competitors. At nicenstripy we consider the training aspects to be one of the most important activities that we carry out internally in order to continuously improve our service to existing and potential customers. Not all training is carried out internally and a number of courses are held each year to improve our overall performance. Companies that fail to invest get themselves left behind and at nicenstripy our moto is ‘to stay a minimum of one step ahead’ of our competitors. In practice we are usually three or four steps ahead and this year’s investment will ensure that we once again increase the number of steps ahead of our competitors. The customers of nicenstripy seem to agree with the Company’s philosophy as the growth in new business is greater than ever. With a growth of 27% of new customers throughout the country in 2017 the projected growth in 2018 is another 30%, which is the reason we have already invested so heavily.